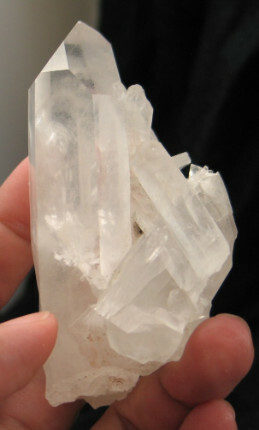 This is a lovely bright quartz family. The interior has bright clarity, with slight misty phantom layers. 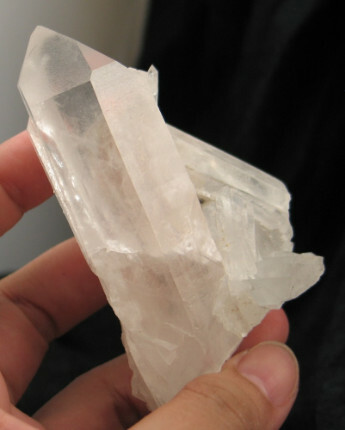 The energy is very supportive, while working through blockages created from past events. 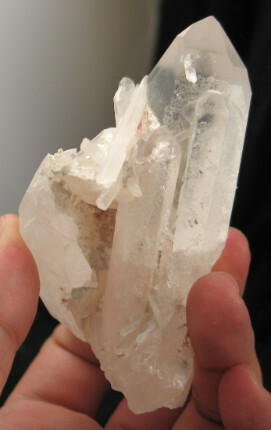 Phantom quartz records the stages of growth of a crystal. 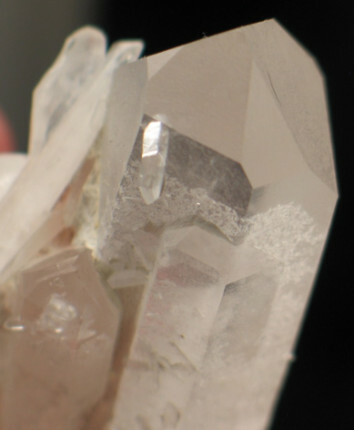 Phantoms mark a time of no growth, where another mineral has settled on the surface before the crystal began to grow again. Sometimes they mark a different growing condition, creating bands of color, like smoky or amethyst phantoms. 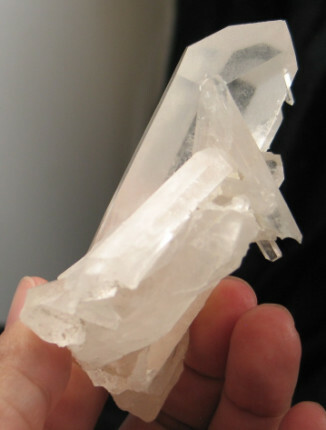 Because phantom quartz shows a record in time, they are perfect for those who wish to work with past life recall. They also help you to identify patterns, and the evolution of healing. This is especially helpful for those working through trauma or abuse. Often the same issues crop up over and over again, leading you to believe you are not making any progress. 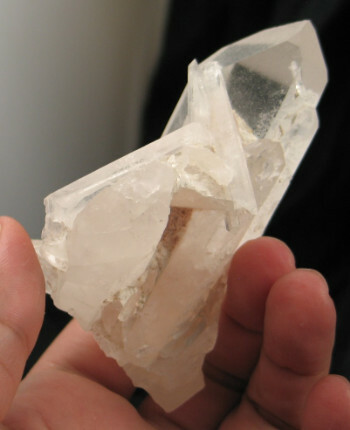 Phantom quartz helps you to look back and see the progress you have made. You may be working on the same issues but now from a higher perspective. 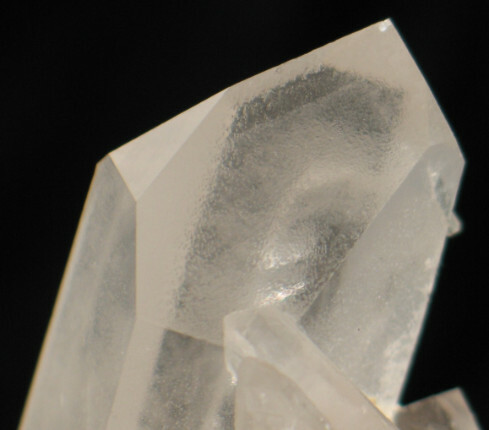 Different inclusions will focus the energy in specific ways, for example smoky phantoms are particularly good in breaking old patterns and blockages. 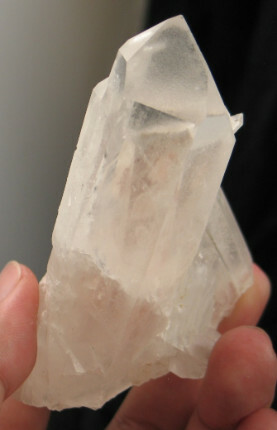 Phantom quartz is especially good for children, assisting them with learning to meditate. 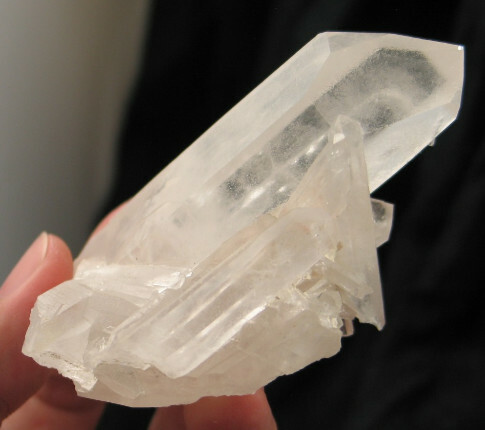 Use phantom quartz during stressful periods, or periods of change to facilitate a more peaceful transition. 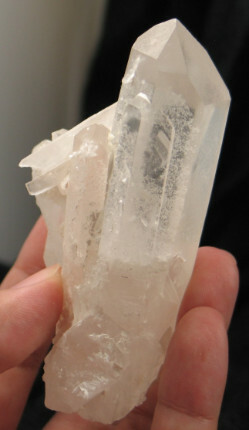 It is also an excellent stone for assisting with healing from abuse issues. It helps one to see the progress in healing, and identify patterns.